Facebook has created a portal for parents at https://www.facebook.com/safety/parents to help them navigate the complex issues of privacy and safety for their children. It’s a set of basic information with access to more detailed information if wanted. Facebook say their community standards aim to find the right balance between giving people a place on Facebook to express themselves and promoting a welcoming and safe environment for everyone. They help you understand what is and isn’t OK to share on Facebook. We remove reported content that goes against our Community Standards. These tools empower individuals to protect themselves against unwanted content, unwanted contact, and bullying and harassment online. When it comes to teens, Facebook take some extra precautions. The final piece of advice from Facebook to parents is to trust yourself. They suggest that you can adopt the same parenting style for your child’s online activities as you use for their offline activities. If you find that your child responds best to a negotiated agreement, create a contract that you can both sign. Or maybe your child just needs to know the basic rules. 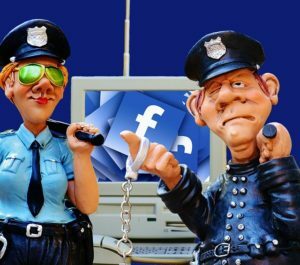 If you have children using Facebook, make sure you know what they are doing and protect them against criminals on Facebook.